Occasionally a book comes along that stands alone. It’s not one of simple collection of fiction or facts. It isn’t just a book of art or science. No, once in a while a book comes along that’s unique and is like no other. This book upon printing is automatically a classic. Such a book has arrived and it’s pure 100% Dieselpunk. Diesel City by Stefan Prohaczka is more than a collection of his artwork. If that’s all it was that would have been enough to make it special for Stefan has a unique postmodern style of art that captivates the observer. 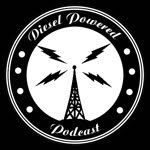 However, Diesel City is much more than that. 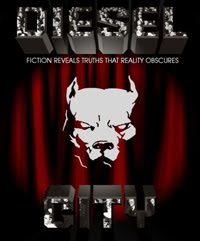 Diesel City creatively weaves Stefan’s art with a postmodern noir narration in such a way to enhance the noir feel. Like a desperate man pounding on a typewriter in a dim and dank lonely room. Diesel City draws the reader into an alternate universe that should exist but doesn’t. However, maybe it does. 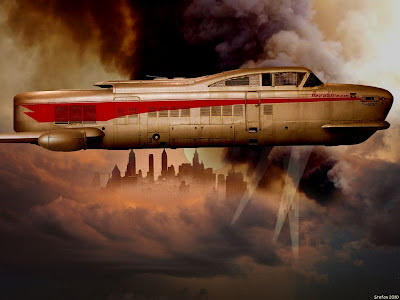 After a point one starts to wonder if Stefan channeled the spirit of someone dwelling in an alternate reality full of exhaust fumes, crime, corruption, and wild technology all intertwined in a megalopolis born out of noir dreams. Even the presentation of the art on the page seems designed to disorient the reader. The art is interlaced with background images in a postmodern fashion that breaks with tradition yet at the same times seems very natural. Adding to all of this is the outstanding quality of the printing. It’s a large tabletop size book with the pages printed on a high gloss stock that provides the reader with a true view of the amazing detail of Stefan’s work. As though that wasn’t enough, there’s a fantastic introduction that actually discusses Dieselpunk by name and explains the genre to the reader. 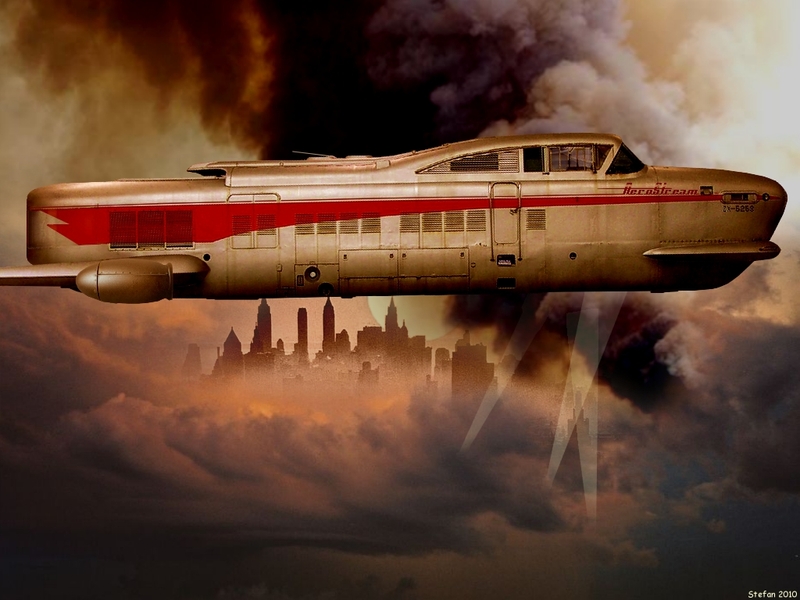 Diesel City is a must have book for any true Dieselpunk. It’s available in both French and English. However, one shouldn’t dawdle. Diesel City is a limited printing. One can buy it from the official web site.